The trip to Seberang Jaya (Butterworth), Penang on the 17th and 18th September was worth every moment. My husband drove our children and I there. We reached at about 2pm. A very large canopy with a special stage was set for the installation. The deities were kept in a separate area beside the main canopy area. Many matajis were preparing the flower garlands in the main temple area. The flowers were simply lovely; The matajis were really expert in tying the garlands and making the bouquets. The flower garlands reminded me of the ones that was used in the Chowpatty temple during Gaura Purnima this year. Others were busy drawing the rangoli patterns for the fire sacrifice. Dozens of beautifully decorated pots laid in the side of the main stage area. 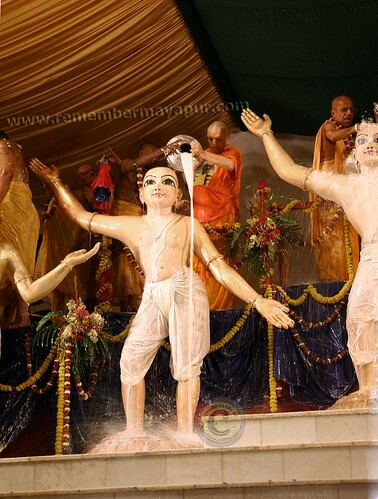 Prasadam was being prepared for devotees who were slowly trickling in for the festival. 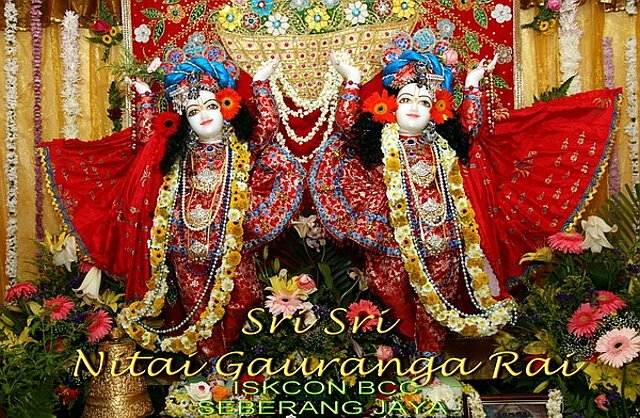 A full scale installation of Sri Sri Gaura Nitai is scheduled to take place Seberang Jaya (Butterworth), Penang on Wednesday, 17th September – Thursday, 18th September 2008. 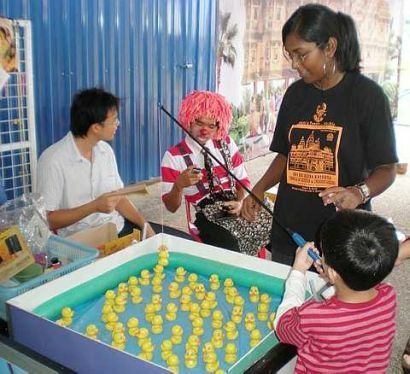 Do not miss the rare opportunity in Malaysia. Dr. B.L. 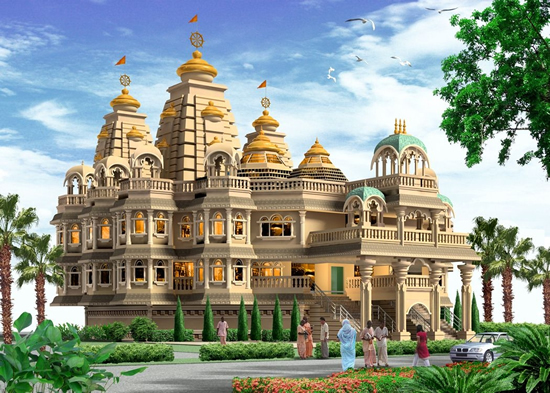 Sharma, a Vastu Architect and Consultant from Jaipur, India who generously offered free services, mentioned that the land purchased was “Godsent”. He said the land has good Vastu and instructed accordingly. 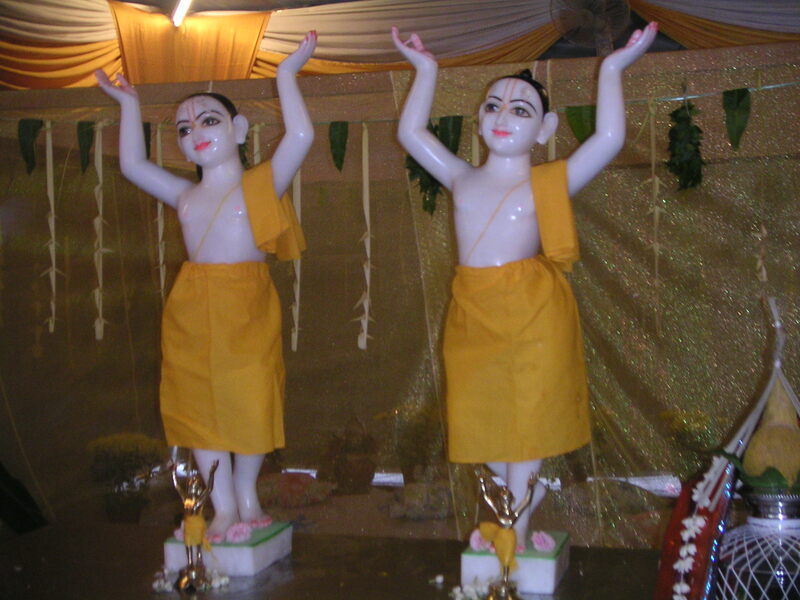 Coinciding with the auspicious “Holy Names Week”, when the whole world is hearing and chanting the Hare Krishna Maha Mantra, Their Lordships, Sri Sri Nityananda Prabhu and Caitanya Mahaprabhu have chosen to make Their appearance in Malaysia at Bhaktivedanta Cultural Center (BCC) at Seberang Jaya, Penang.